At Bernard’s we make a firm stand against misleading advertising and prices. We are confident you may find ours to be the most accurate and honest in the market. Your ownership cycle should start out and end positively, not by offering you a “pie in the sky” price online only to find out that is not your price. Since we compete with the Metro and MN dealers use far more latitude in trying to get you on the hook… we do show some of the most common conditional offers. Rebates like Chrysler Capital Finance cash do require you to qualify for them by obtaining a loan and are listed separately. We understand the price is a huge factor in your decision and once we know a few things about you, we would be happy to provide a more dialed in price point we expect you to achieve. This is best handled together where we can talk about your career, memberships you make have, military background, or other potential savings. Rest assured — In the event, you do not do business with us, our primary goal is to make sure we treat you in a way that you would have wanted us to and will return in the future if today is not the day to buy. This is the reason families come back generation after generation. We also funnel many efforts back into the surrounding communities to support agriculture, athletics, and many youth organizations and events; so your business with us supports those efforts. 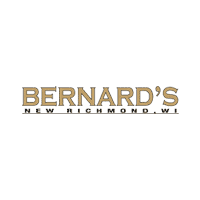 Be sure to go back to new or used inventory and request your Bernard’s price! If you’re not able to swing by or give us a call take a moment to check out what sets us apart. Bernard's Chrysler Dodge Jeep Ram	45.1350627, -92.5321338.